Sure, shopping can be a drag. 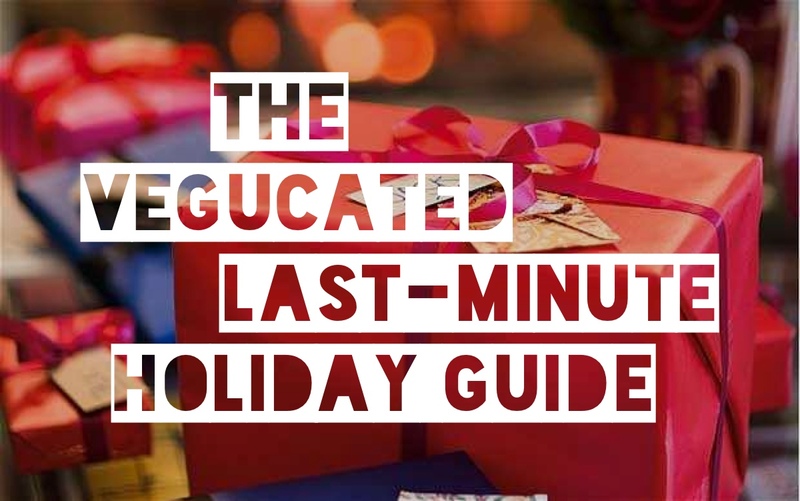 But if you’re still looking for the perfect gift for that difficult-to-buy-for person on your list, or you’re hunting for creative ideas to make the season’s eats and activities bright, we’ve got you covered. Grab a mug of mulled wine, hot apple cider, or Mexican hot chocolate and sit by the fire. Need more inspiration? Check out these gift guides for Hard-to-Buy For, Girlfriends, Mom, and the Dudes in your life. And, if you’re more the giveaways type, check out the “12 Days of Giveaways” on The Little Foxes, lasting until the new year. The holidays are about so much more than presents and carols. The true essence of the holidays is in our service to one another, kindness, and compassion. Spreading joy and making peoples’ and animals’ lives easier doesn’t require a lot of money or time. Here are some recipes and ideas to get your holiday glowing with goodness. Perfect for the “milk and cookies” set: Check out the Vegan Cookie Swap over at Keepin’ It Kind. 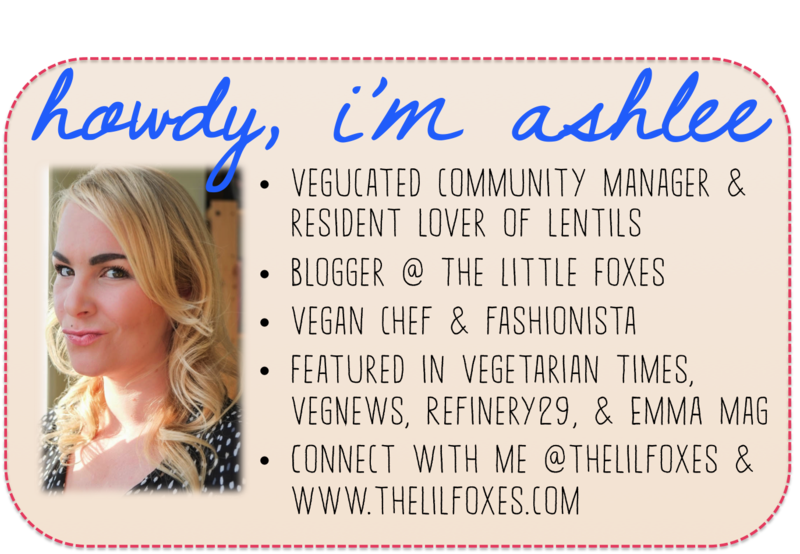 30 days of unique and delish all-vegan cookie recipes from the blogosphere’s most talented chefs! Pair with some almond milk and you’ve got a jolly holiday. Bring a new family member home: Yeah, those are my own rescue pups (Theo and Banjo, respectively) in the pic above, suffering the momentary humiliation of wearing holiday costumes. Shelter animals are amazing, plentiful (around 8 million waiting for you), and each every one deserves a home. Consider opening yours to a needy animal today. Dressing them up totally optional. Recycled gifts that bring new joy: Get vintage and thrifty! Fill thrift-store vases with sprigs of pine or flowers for a unique hostess gift. Repurpose vintage casserole dishes by filling with a decadent mac and cheez and attach the recipe for a tasty (and darn thoughtful) party take-along. Put a reclaimed cake stand to good use crowning with a holiday cake or pie that will bring joy to a teacher, maintenance person, mail carrier, or someone who deserves sweet recognition in your life. 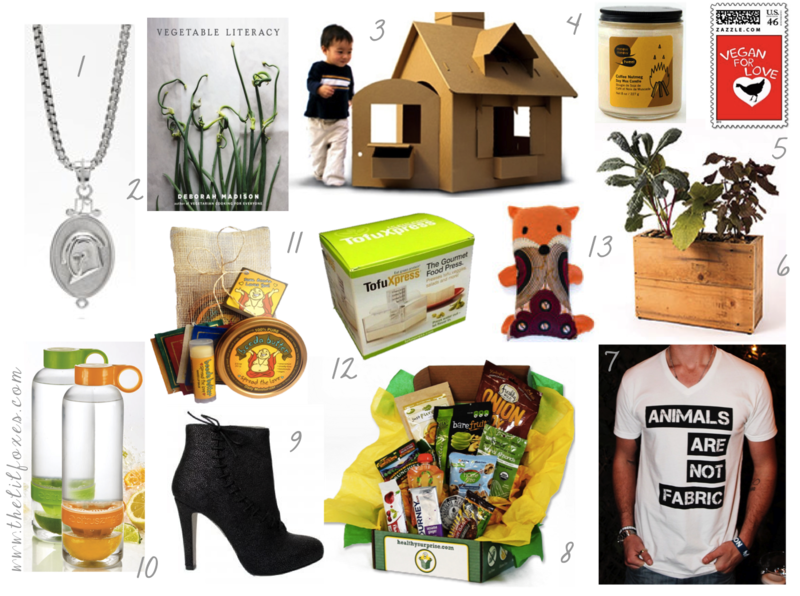 Check out more thrifty and thoughtful gift ideas here. Themed menus for that special meal: Sure, these are for Thanksgiving. But these clever themed menus, which take the guesswork out of that important meal, are forever, baby. 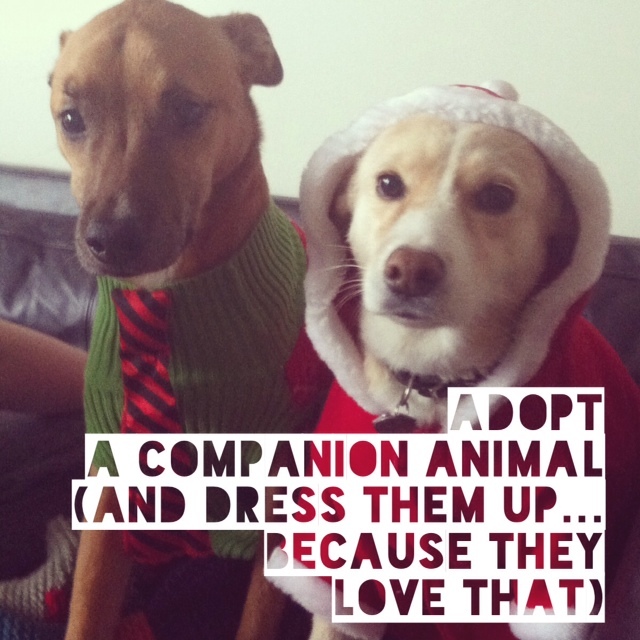 Enduring tips for a charitable holiday: Crafting for shelter animals? Gift backpacks for kiddos in the foster care system? Gifts for lonely seniors? YES. All of these simple ideas make a difference in the lives of someone who could use some joy. What are you doing this holiday to give back to those less fortunate? Let gratefulness in: Simple tips for cultivating thankfulness and gratitude all year long. What are you thankful for? Make meaningful resolutions that stick: Going plant-based? Want to live a more vibrant 2014? If you’re in to crafting resolutions for the new year, you’re going to go bananas for these suggestions. Join the conversation in the Vegucated Schoolhouse today and tell us how you’re celebrating the season!